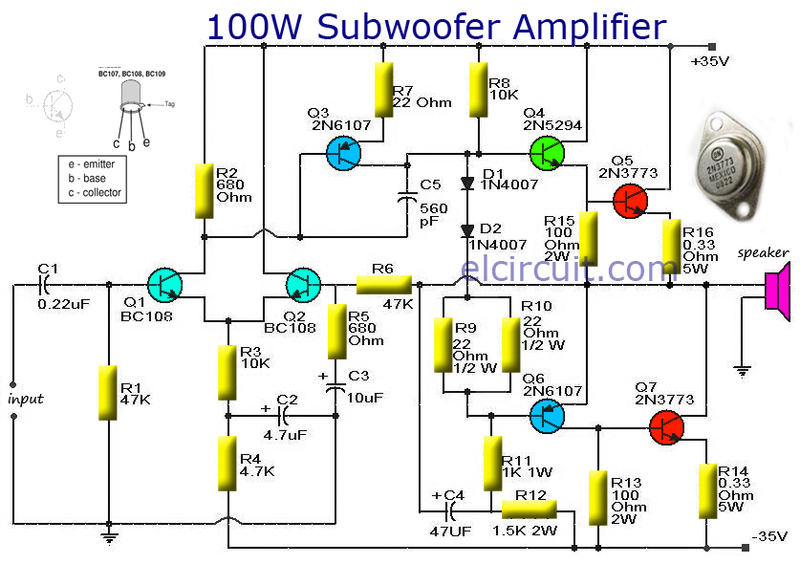 It is a circuit diagram of a subwoofer amplifier transistor fully used as the main amplifier, which can produce an output of 100W. There are seven transistors including four in the output stage. Transistors Q1 and Q2 BC108 form a preamplifier stage. Transistors Q4 to Q7 form the output stage. 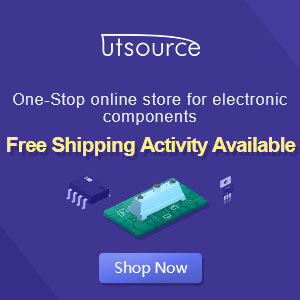 Because no ICs are used circuits that extremely powerful and can be easily assembled on a common goal PCB.The circuit can be powered from a +35V/-35V, 5A dual power supply. Use a 100W, 12 inch sub woofer at the output. All electrolytic capacitors must be rated 100V. The transistor Q4 to Q7 must be fitted with heat sinks.For pre-amp circuit you can using Subwoofer Pre-amp Filter.